Today, Saville Resources Inc. reported that a maiden drill program on the Niobium Claim Group Property in Québec is expected to start soon. The goal is to make a high-grade niobium discovery at shallow depths. A newly published market study on niobium forecasts strong growth of 5.9% CAGR (Compound Annual Growth Rate) during 2019-2024, whereas it is noted that “a small number of producers around the world [...] can hinder the growth of the market studied“. As such, new niobium supply is needed, especially on the North American continent, because “The global niobium market is dominated by [Brazilian based] CBMM accounting for 84% of the market, which holds a monopoly over niobium supply. The other prominent companies include China Molybdenum Co. Ltd (CMOC International), NIOBEC (Magris Resources Company), Alkane Resources Ltd, and Grandview Materials...“. The niobium market is witnessing a growing usage in the automotive industry as lightweight materials and designs are key to enhance fuel economy in ICE (Internal Combustion Engines) as well as in EV (Electric Vehicles). Saville is getting ready to start drilling its Québec property, aiming for a significant niobium discovery with the drill bit as past exploration has indicated potential for a near-surface deposit with high grades of niobium and tantalum. “The focus will be the Mallard Target (formally termed the “Southeast Target”) located in the Southeast Area of the Property. The drill holes will test the southeastern extension of the high-grade and near-surface mineralized intercepts returned from drill hole EC10-033, including 0.72% Nb2O5 over 21.35 m (4.22 m to 25.57 m) and 0.82% Nb2O5 over 21.9 m (58.93 m to 80.82 m). Lightweight materials and designs have been important concerns in the manufacturing of automobiles, where driving dynamics is a major factor. Additionally, the emerging focus of governments across the world on minimizing carbon emissions and enhancing fuel economy (as per the Corporate Average Fuel Economy standards) of the vehicle has increased the importance of lightweight materials in the production of automobiles. In the past couple of years, the automotive industry has been consistently focusing on vehicle weight, as it has a direct impact on driving dynamics, fuel consumption, and agility. 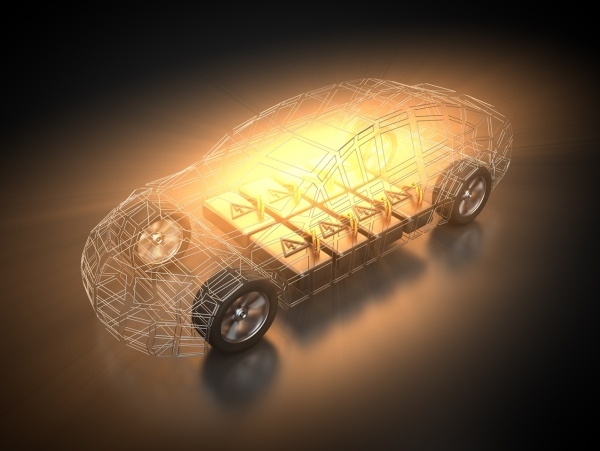 The shifting focus of automobile manufacturers toward the development of light-weight vehicles is becoming the biggest opportunity for growth in the niobium market. The usage of niobium as a micro-alloy enhances the toughness and strength of steel, while also ensuring that the automobile body structure is light. At the same time, it also makes vehicles safe in the event of a collision. For instance, usage of about 300 gram of niobium in steel for a mid-size passenger car reduces the weight of the vehicle by approximately 200 kg, in turn, improving the fuel economy of the vehicle (1 liter per 200 km) and reducing exhaust emissions. With the growing automotive industry, the consumption of niobium is projected to increase through the forecast period. Asia-Pacific dominated the global market in 2017. With accelerating usage in structural steels and growing usage in the automobile and aerospace industry in countries, such as China, India, and Japan, the consumption of niobium is increasing in the region. The consumption of niobium is very high in steel manufacturing in the form of ferroniobium, and the construction industry is thriving in several emerging economies, such as China and India, among others. The Chinese automotive manufacturing industry is the largest in the world. The automotive industry is growing steadily, with high production and demand for passenger cars. Further, the aviation industry is currently running 2,185 general aviation aircraft. Moreover, it is planning to have more than 5,000 aircraft and 500 airports by 2020. What makes Saville‘s niobium project attractive is that mineralization identified to date indicates a carbonatite host rock, which is the dominant niobium source globally making cost-effective conventional processing possible. Disclaimer: This report contains forward-looking information or forward-looking statements (collectively "forward-looking information") within the meaning of applicable securities laws. Forward-looking information is typically identified by words such as: "believe", "expect", "anticipate", "intend", "estimate", "potentially" and similar expressions, or are those, which, by their nature, refer to future events. Rockstone Research, Saville Resources Inc., Commerce Resources Corp. and Zimtu Capital Corp. caution investors that any forward-looking information provided herein is not a guarantee of future results or performance, and that actual results may differ materially from those in forward-looking information as a result of various factors. The reader is referred to the Saville Resources Inc.´s and Commerce Resources Corp.´s public filings for a more complete discussion of such risk factors and their potential effects which may be accessed through the Saville Resources Inc.´s and Commerce Resources Corp.´s profile on SEDAR at www.sedar.com. Please read the full disclaimer within the full research report as a PDF (here) as fundamental risks and conflicts of interest exist. The author, Stephan Bogner, holds a long position in Saville Resources Inc., Commerce Resources Corp. and Zimtu Capital Corp., and is being paid a monthly retainer from Zimtu Capital Corp., which company also holds a long position in Saville Resources Inc. and Commerce Resources Corp. Saville Resources Inc. has paid Zimtu Capital Corp. to provide this report and other investor awareness services.